Embark on two weeks of fun filled learning adventure with our spring fun program packed with plenty of play-based learning opportunities and activities that helps children Explore, Observe, Create.. and much much more! REGISTER TODAY until 28th FEB 2019 and avail of our 10% Early Bird Discount. Get an additional 10% Off if you register for full camp. 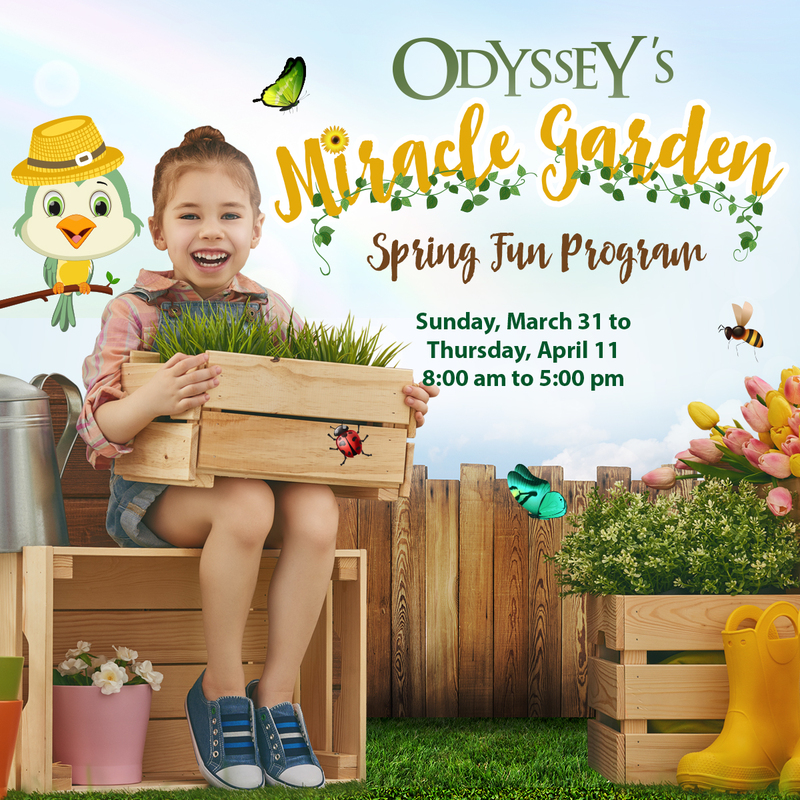 Looking for something creative, fun & totally UNIQUE for your children to do this Spring, Join our Miracle Garden Program. 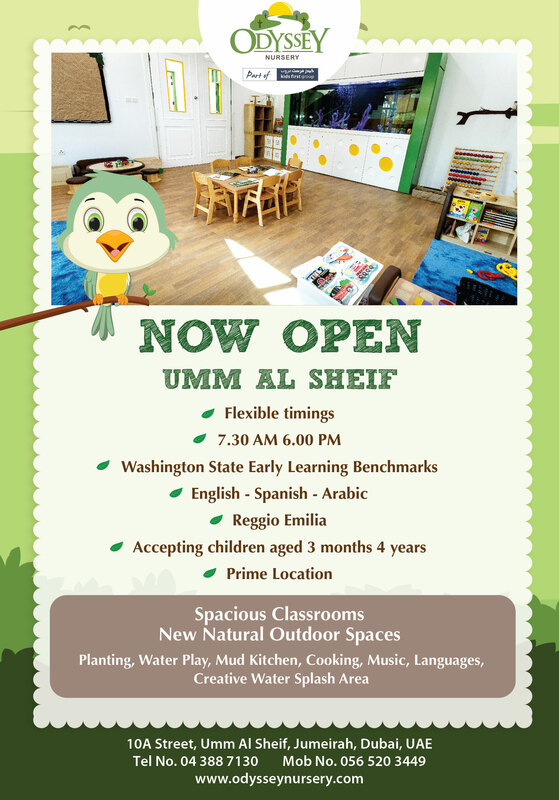 We will explore and discover creatures in the garden, engage in science experiments, sports activities, food preparation, planting and much more! 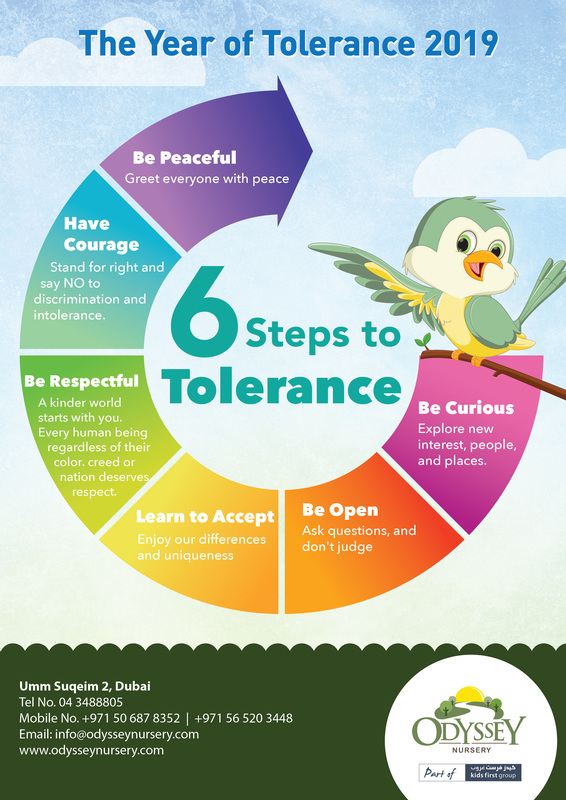 Tolerance is a virtue and an intrinsic part of the UAE culture. At Odyssey Nurseries, with more than 23 nationalities, we are keen to promote acceptance and understanding as core values of our society. 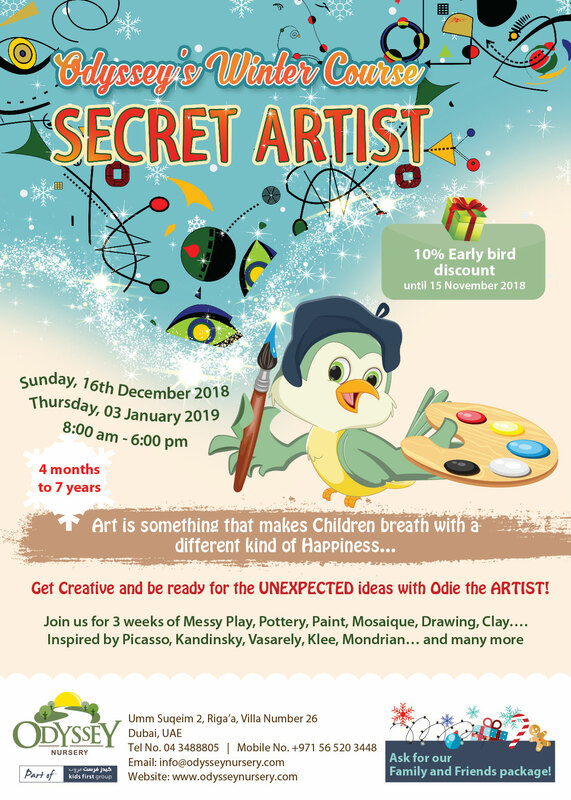 Get creative & be ready for the UNEXPECTED ideas with Odie the ARTIST this winter break!!! Join us for 3 weeks of Messy play, Pottery, Paint, Drawing, Clay...and many more! 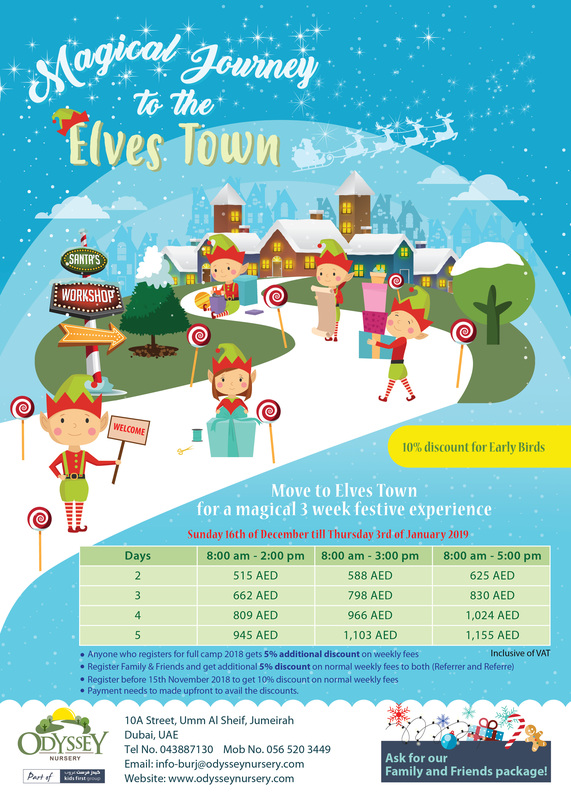 Register today until 15th November and get our early bird discount or ask for our Friends and Family package. Come and meet our school partners to Odyssey's School Fair on the 21st of October 2018.. Get the answers from the experts on how to enroll your child in your dream school. To build an inclusive community, we have to raise it first in our children. Come along to have a look around our lovely nursery & meet our dedicated team and Director on Thursday, 30th August from 9:00 am to 12:00 pm. Lots of fun activities are waiting for your children! 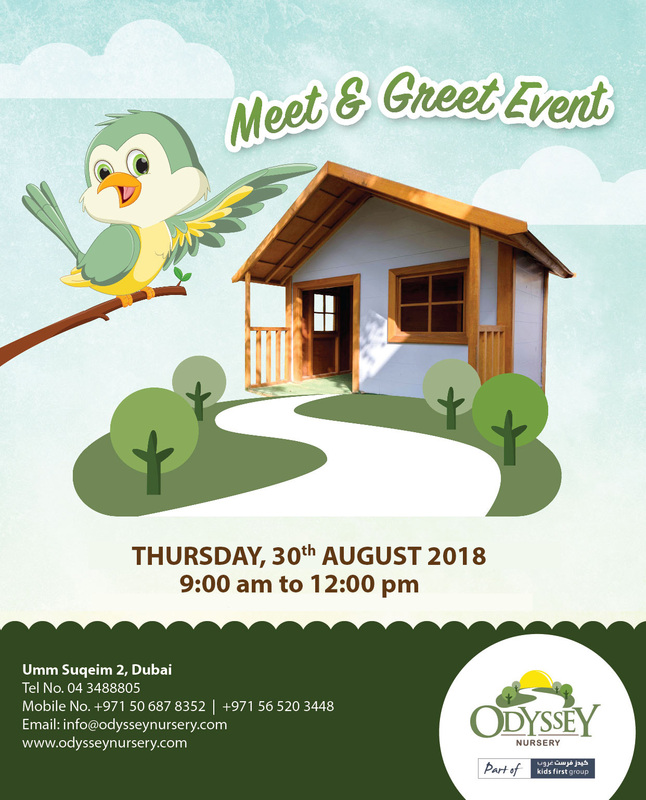 Join the Odyssey nursery in Dubai for 9 weeks of summer fun, adventure and discovery! 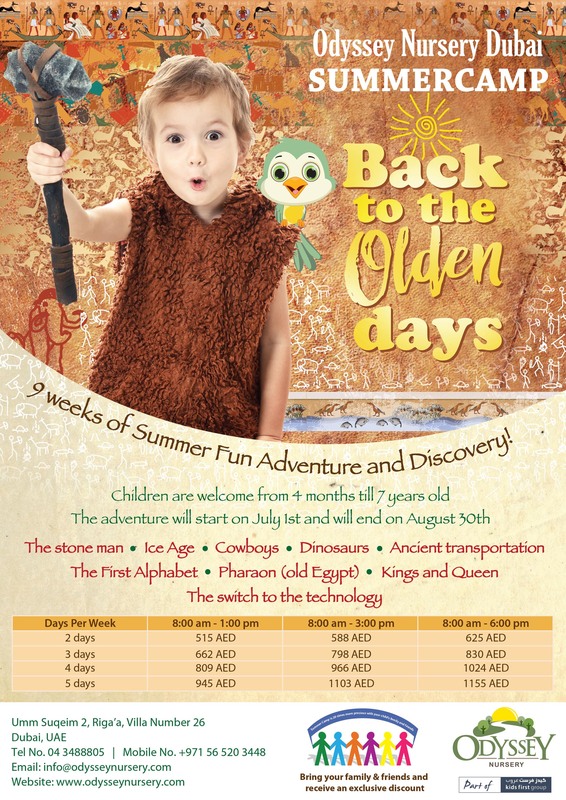 Every day, from July 1 to August 30th, your little ones are welcome to enjoy and learn from a range of activities that will transport them back to the times of the stone man, ice age, dinosaurs, and the pharaohs. There is so much learning to be done from these eras including how the first alphabet came to life, old ways of transportation and how we switched to technology. 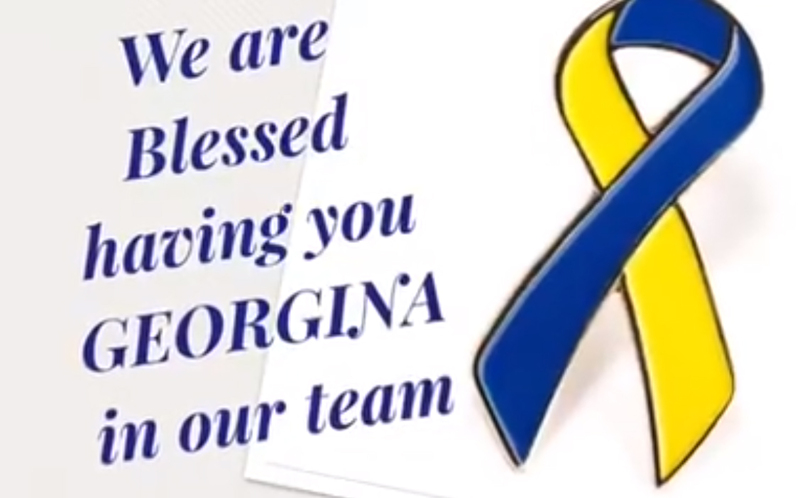 It’s going to be a summer to remembers so make sure your child is a part of it!